Bruce Laurie will speak at Historic Northampton on his research into two Pioneer Valley soldiers who changed the course of the Civil War. Laurie’s work culminated in the essay, “Chaotic Freedom” in Civil War Louisiana: The Origins of an Iconic Image, a Working Titles e-book published by The Massachusetts Review. Chaotic Freedom is the story of two men transformed for the better through the Civil War. It is also the biography of an iconic photograph. Northampton-based printer and newspaper publisher Henry S. Gere (Hampshire Gazette) and Greenfield currier and carpenter Marshall S. Stearns, collaborated to produce a photo that became an emblem of abolitionism during the Civil War, featured in Harper’sand throughout the country. The carte de visite features “Peter,” often misidentified as “Gordon,” the slave with scourged back, elbow jutting, and striking profile. 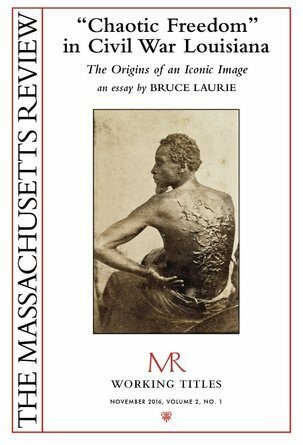 Together, these histories tell of personal redemption, the importance of the abolitionist movement in western Mass, and the power of an image to change the country.